Rated 4 out of 5 by Magda640 from A good beginner game I just finished the trial of this game, and I found it to be worth playing. Those who don't like it because it features old cell phones, floppy disks and other "outdated" things seem to forget (or not to know) that many of these games have anomalies such as electrocardiogam machines in the 19th century or flying dragons or steampunk (need I say more?) Plus, what's with all the problems in Prague? The voice of the heroine is natural and I find it easy to listen to. I can read, so the text isn't interruptive. The puzzles are simple and the ho scenes are easy on the eyes. All in all, I think this is an excellent game for the beginning player, which we all were at some point. Try it; you might like it. Rated 4 out of 5 by einiespal from Fun game This is a fairly simple game with a good story that doesn't involve an evil witch and there aren't any cute critters to help you. What a relief from the usual games these days! Action is mostly straightforward, and there aren't a ton of objects to find. Also, there isn't a lot of back and forth - saves my poor, aching feet. The HOS are IA or placing objects. Puzzles aren't tedious as in some games where the puzzles aren't difficult; they are just plain tedious. I'm not familiar with the game other reviewers refer to, but this one is fun and relaxing to play. It was like breath of fresh air to me. Rated 4 out of 5 by JustTheFacts from Unusual! BASED ON DEMO FIRST IMPRESSIONS I read some reviews of this game before I played the demo, because I did, I wasn’t expecting much from this game. There’s no doubt about it, this game doesn’t meet the normal criteria for a 2013 game. Its biggest crime is it is just too slow, and it harks back to an older style of HO game... But it is not really like any other game, now or then. It is unique, and I’m going out on a limb, because I liked it! The opening is low key and in tune with the game to come – relaxed, leisurely, with an emphasis on story and dialogue. Then there is also “travel time”, which really has no purpose I can think of but to make sure you get the feeling of distance. Throughout the game there is, I admit, far too much of both. It slows the game right down, but if you can reconcile yourself to that, it plays quite well. Have I mentioned: leisurely. SIGHTS & SOUNDS The graphics are different and a little weird. They seem somehow shiny. But I liked the overall effect. It made me feel like I was seeing what Prague really looked like for the first time. I’ve never been to any part of Europe, but the Prague of this game is what I imagine Eastern European cities would look like. There is certainly nothing wrong with the game’s clarity, and in the HO scenes, the look is different, with a more painterly aspect to it. And I liked that too. There is a strange thing that is done with the voiceover (which, overall, is good). Initially the entire dialogue is acted out, but later only important lines are spoken, so it changes the effect that the voice has, increasing its importance to the game. The sounds, like the images, seem appropriate to an intriguing investigation rather than a gut wrenching thriller. WHAT’S HAPPENING The story is the first I’ve noted on Big Fish that has at its heart a WWII conspiracy. A well-loved theme of novel writers! Between them, your uncle and your archaeologist fiancé have managed to get into trouble over a site with alleged evidence of alien technology on earth, which the bad guys apparently knew about, way back when. So of course there are bad guys now who want to get there first, and your fiancé is kidnapped. Unlike most games, the start of your investigation begins, not with a car crash, but with red tape at government departments. This is so incredibly like the Eastern Bloc stereo type you have just got to get into it. GAMEPLAY This is not much of an adventure game, although you do get to find some inventory items and must figure out how to use them. Most of this is fairly obvious. It is played more like a HOG, with HO scenes interspaced by travel time, dialogue and an occasional (almost ridiculously easy) mini-game (fill the colours on a painting). There are 3 types of HOP. An interactive list, multiples, and misplaced items. There is also a sorting game. There is a journal to track the story, and there is a hint that does indeed give you a hint. I like that in a game. The map is used by the game to get you around, but you have no access to it. FAMOUS LAST WORDS The litmus test for any demo is, of course, whether you are disappointed when it ends. I certainly was, both disappointed, and surprised. The time had run completely away from me. Which is why I am happy to recommend giving the demo a try. It might surprise you the way it did me. Rated 4 out of 5 by sportygal2009 from Well I Liked It - Review Of Completed Game STORY: You take on the role of Suzanne and your fiance Michael has been kidnapped In Prague and you have to search for evidence of a 12th planet with alien life and technology that the Germans were trying to acquire during the war so you end up traveling back/forth Prague, England, and Mexico. There is also a map but it just shows you traveling back/forth between the locations. As far as game play there is no transporter map. You will also meet up with quite a few people throughout the game. Have to do a task for them to move forward in the game. 3 PLAY MODES; I played the hardest mode and has sparkles for the HOS and black bar tips. HINT: Outside of HOS it will NOT point you in the direction you need to go. It will just tell you what you need to do so if you are in area where there is nothing to do, you need to find it on your own. WIDESCREEN: There is a box you can check for that which I had to so graphics were for me stretched just a bit. Otherwise I would of had black bars down the sides of the game. HOS: Some scenes are interactive word list, find one item at a time by opening/closing drawers and fitting items back into the scene. PUZZLES: Not really a whole lot. Some the usually run of the mill found in many games and a few I've never seen before OVERALL IMPRESSION: Well I'm going to start by saying that I read the Big Fish game forum and the main page here for everyone's thoughts on this game after I completed it and well I've never even heard of the large file game Nibiru let alone played it so whether or not this game here has anything to do with that game I personally don't know. All I do know for sure is I enjoyed this game very much and bought it with a game coupon code. If I wouldn't of had a coupon code I would of paid $6.99 for it. While there is a lot of dialogue, I thought the story was very well told and held my interest from beginning to end. I also really liked the characters and the game play. This seemed to be more HOS and adventure than puzzles. The only criticisms I have about this game is I do wish the sparkles and black bar tips wouldn't of been there for the hardest mode but didn't bother me too much for this game. At times the graphics were nice, crisp and clear but the cut scenes for a minute or two would be blurry but then clear up. Also I'm not sure what was up with the voice overs as the lead character Suzanne talked but the other characters mouths just moved. This annoys me. Please don't have the characters mouths move if they aren't going to say anything. Since someone questioned the ending to this game here in the forum well my downloaded version of this game didn't end with a "to be continued" it ended satisfactory and just fine for me. Overall not a very challenging game but I enjoyed the 5 hours I spent playing this game. Thanks Big Fish and Developer. As always, give it a whirl and decide for yourself. Rated 4 out of 5 by Kian366 from Why this game is familiar.... Ok I had the distinct feeling I had played this game somewhere before too, then in the dialogue the name Nibiru popped up and then it dawned on me, there is a an actual game called Nibiru: Age of Secrets that was put out in 2005 which is a large adventure game, and is great game btw. I didn't notice who developed this game, maybe the same people who did that game. But some of the scenes are definitely the same so maybe they just revamped that game and made this version. Now onto the game play, yes the puzzles are very simple but it was enjoyable and a nice change from all the games that are usually released. The graphics are a little dated but that didn't bother me any since I just found it a refreshing change to the same old thing that has become standard in the current HOPA's. I played the demo the whole way through and will probably buy it, just because I played Nibiru and it was such an awesome game, and I'm kinda curious how this one will play out. Rated 4 out of 5 by tucker_ratdog from Lost and Found Your fiance has been abducted and you must find him! An interesting trip to Prague and all kinds of excitement and challenges await you in your quest. I liked this game! I admit there was a certain deja vu about it, but I couldn't quite place it. Anyhow,the game play does have a few slow moments but the intrigue of the story keeps you wanting to go on. It is easy sometimes to get bored with too much dialogue but with this one, the information is valuable and you need to pay attention as it helps you through the story. If you skim over it you could miss something you will need to know or do later. The mini puzzles were easy and at first I thought the HO scenes were as well, but they became interesting with 3 different modes, standard listing, putting items where they belong and finding numbers of things. The game's clarity was great and the music was pleasant and not overpowering. Overall no fancy bells or whistles in this one, just a fun game that you need to take a chance on. Rated 3 out of 5 by jaramilo from Nibiru Simplified Lost Civilization is a simplified HOG version of the large-file game as Nibiru: Age of Secrets. What's the same: the basic storyline, the settings, the basic background artwork, the tasks. What's different: The characters look a little different and have different names, gameplay is simplified, the HOGs are fuzzier that the original artwork. If you don't like to play games again, pass this one. If you enjoyed Nibiru, this is a nice quick past time. If you haven't played Nibiru, the fuzziness of the HOG scenes may be off-putting and the storyline may be confusing. Play the free version or wait for it to be a daily deal. Rated 3 out of 5 by bluesycat from Just OK This is based on 20 minutes of the demo. Very easy HOS and puzzles. Nothing has really happened in the story so far, so not much to say. Some of what has happened is not logically consistent. I'm just enough interested to wait until this is a sale item and then I'll get it. NOT worth spending a full credit on. Rated 3 out of 5 by phantom_phoenix from Not Bad. This is not a bad little game - just not that inspiring. It seems a bit dated to me, but I do find that every once in while it’s nice to play a more basic game, and this one fits the bill, for the most part. Your boyfriend is an archaeologist on the verge of an earth-shattering discovery when he gets kidnapped. It’s up to you to finish his work and save him. There is a bit of unnecessary “travel” in the beginning, but eventually you end up in Prague where your search starts. I was a bit jolted by the fact that when you are talking to yourself, there is audible dialog, but anytime you “talk” with a character it is text only. It makes game play feel a bit choppy. HOS are interactive the first time you get to one, and then when you have to go back it is more of a traditional “list” style HOS with a few little things to do. The graphics for these scenes seem a bit fuzzy to me, and so they took me a little longer than I think they should have. The other graphics are clear, and bright. I played the full demo, and haven’t come across any real “puzzles”, or mini-games, which is too bad. Overall, I am on the fence with this one. I like the story, and I spent an enjoyable hour with it, but even for an SE it seemed to lack real pizzazz. Definitely worth trying out, and deciding for yourself. Rated 3 out of 5 by rugspot from Just OK!!! Not sure about playing this before. Now that I think of it maybe, I do. Anyway it was a little boring but I do like it. The HO'S not that great some of the object to small. I had to hit the hint button, I don't like that. Rated 3 out of 5 by rosekaufmann from UNSPECTACULAR GAME PLAY Although the story line was different than what we normally see, it ended up boring me because of the game play. It was just uninspiring to me, probably because of the game play. The puzzles were very easy and the HOS were the normal fare. There was too much sorting items - papers, trash. Music and voice overs were pleasant enough. Graphics were okay - Prague has beautiful architecture and it could have been shown off a little more. Conversations were okay - a combination of written and spoken words. Michael must be some kind of boyfriend - he doesn't even meet his gal at the airport and leaves the arranged meeting place before she gets there - just because there was a suspicious man around. He waited all of a half hour. She needs to replace him. Although this is not a bad game, I just felt there should be more to it. I hate getting sleepy while playing a game (and I just got up). Rated 3 out of 5 by stevefrei from Look for it on sale Basically, 'Lost Civilization' is a bit of a throwback in the sense that it has none of the fancy bells and whistles of similar games from well-established studios and feels reminiscent of early HOA efforts. The story involves archaeologists attempting to access a cave which apparently provides entry to a top secret WW II-era scientific installation. Gameplay is smooth, graphics are competent, and voice-acting (so far) is limited to the narrator (who, inexplicably, appears to reside in England but has an American accent). 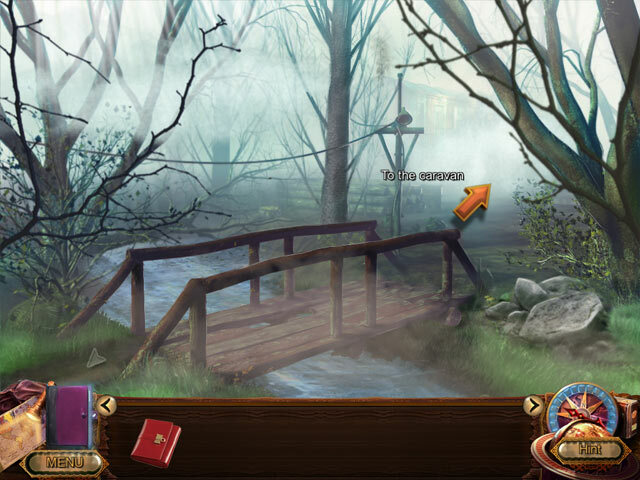 HO scenes and puzzles are tutorial-level at first but grow more difficult as you progress, although hidden objects can be quite small and the scenes themselves somewhat muddled. On the other hand, these scenes do include the modern convention of including interaction within the scenes to unveil or complete listed objects. In short, this is an 'underdog' game produced by a studio with limited resources, and I personally found it more likable than some of the overwrought games currently churned out by the 'major' studios (ERS, I'm looking at you). It's a competent and user-friendly entry which I would happily purchase were I to see it in the Daily Deal, which I believe is a qualified recommendation. Rated 3 out of 5 by sbiffis from Slow... This game is very slow. No fast forwarding...becomes boring after a very short time. I couldn't even make it through the trial. Rated 3 out of 5 by elvenstardragon from Old Old Game I have played this game before a long, long time ago. In fact it's so old it may have been a DOS game. ( I think I still have the box in the attic). (Those were the days when games came in boxes). It was published under another name. I think it was Nibiru It was OK at the time but we've moved on since then. I think it may have been slightly updated but I have only played 30 minutes of todays offering. Do BF think no one would notice. How can it be Tomorrow's Game Today when it is so old. I think it's contempories would be the likes of Monkey Island. I won't reveal anything about the game incase some of BF's younger gamers want to give it a try. Rated 3 out of 5 by Martyheinz from Rerelease? When I started the demo, I felt I had played the game before. I did some checking and it appears to be a release of NiBiRu but in a much shortened version. Maybe this is going the way of Syberia and being released in 3 or 4 parts as it is much smaller than NiBiRu but the Prague Bridge, artist, apartment building and interior are all the same. Definitely won't be getting this as I will just get out my NiBiRu and replay. Rated 2 out of 5 by sbechirian from Disadpointed The game was an old style game, wich I really enjoy normally. The storyline was excellent. The graphics were ok. But what disappoint me was that the lips of the people in the game were moving as they were speaking (with the scripture). In fact, they did not speak orally; you could not ear their voice. So, it give the game an artificial look; as the game you can find in the eighties. If it wasn't for that, I would have give a chance to this game. But after 2 minutes of playing, I stopped completely. Rated 2 out of 5 by farfalla2 from A Nibiru Knockoff- Who are they trying to fool?? Sorry, but this game will never measure up to the engrossing character of the original Nibiru. They've changed the characters and turned it into a cheap hidden object game. And the only voice you ever hear is the leading woman so in her interactions with other characters and on the phone you have to read the dialogue. This in my opinion has always been cheap and takes away from the story. I really miss when Big Fish used to have more classic and atmospheric adventure games not these silly HOGs that have taken over in the last few years. Do yourself a favor and play the REAL Nibiru and not this cheap knockoff. Rated 2 out of 5 by roaming from Didn't Finish the Demo This seemed like an intriguing story with very simple game play. I had problems running the game on my computer, which I reported in the technical thread. There is only one voiceover (Suzanne) and other characters' mouths move while you read the text. I'm guessing in the original all the characters had voiceovers but it wasn't English, and they only bothered to get an American actress to voice the main character and cut out the rest. I think I might have liked this game if not for the extreme simplicity of the game play. Even the HOS were simple. Find five items and they're laid out in a row in front of your nose? Seriously! But the story could have been interesting. I just didn't play enough of the demo to find out. Also, I didn't get how there could be a 12th planet, which would be three additional planets even if you count Pluto. Unless they're living in a different solar system from ours, an unknown planet would only be the 10th. Did I miss something? Not a buy. I'll be generous and give it two stars. Rated 2 out of 5 by AeronAoife from I should have passed on the original game too This game is a poor attempt to make NiBiRu: Age of Secrets more interactive and perhaps shorter. Conversations aren't as long, mini-games have been added, and story slightly changed but the scenery and game is the same. It's still too slow moving, like the original game. NiBiRu is one of the few games I've purchased that I regretting getting, so I wouldn't recommend this game. Rated 2 out of 5 by witchyxs from NOT WORTH IT Well I thought something is wrong with my game, when I saw all this scrabbeling background - no, it supposed to be like this - if someone loves reading a lot, this is their game - I found it very boring, the challenge was really poor, more for real beginners. I didn't even finish the demo, I just got really bored wasting much time reading and watching the girl travelling and being on the phone. The HOS were pretty low level. The graphics with the irritating background, especially when you change scenes or talk to people just annoying !! REALLY NOT WORTH IT !!! Rated 2 out of 5 by tesamoine from Seems Strangely Familiar I have a very strong suspicion that I have played this game somewhere at some point. This seems to be an old point and click large file type game where they added several things to make it seems like a HOPA. Whatever the case, there is a lot of reading to do, a lot of watching the plane fly from country to country, just a lot of "stuff". Sort the folders into piles with the same colors? Oh please. I really don't have one good thing to say. Even with the city in question being Prague, which is very beautiful, the game was just ugly. I do not look for all the bells and whistles and talking animals when buying my games. I usually like the straight forward ones better. This one though, IMHO, is a flop. Rated 2 out of 5 by thatmomperson from TEDIOUS Didn't even play the whole trial. Mostly talking (sometimes with sounds, sometimes not). A story is good, but there should be more game than story. Rated 2 out of 5 by Jeriann64 from Real lost civilization! I started out liking this game; I kept waiting for an HO & what did I get instead, pick & place! I don't like those & they weren't very easy to find. Also, whenever anyone talked on the phone, you couldn't hear them. When the detective got off the phone, she would tell you the gist of the conversation. Consequently, I for one am not going to be buying this game. Rated 2 out of 5 by lorraine1971 from played this before The game is alright .But i get a very strong feeling i have played this game before. The graphics are alright but its not a very challenging game. Rated 2 out of 5 by Nilosh from A Lost Game Now Found Who are we kidding, this game is at least ten years old according to the date of the event, 2003, along with various clues like the old computer and floppy disks that you use. And I swear I remember some scenes very familiar to a large file Adventure game I once played such as the scene on the bridge in the first chapter, the painter and the wallet. 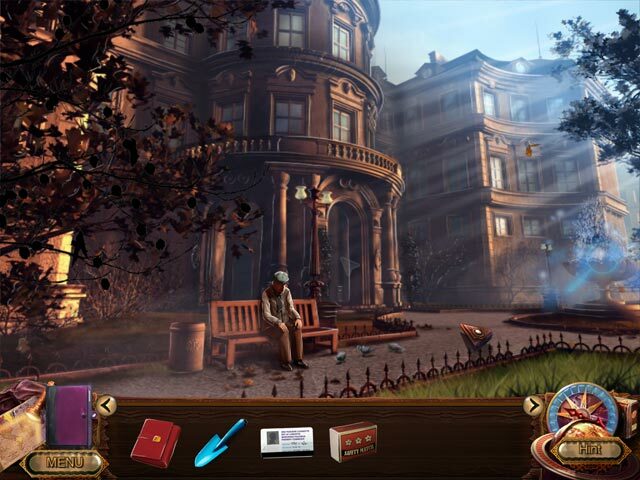 Can it be that these developers took an old adventure game and re-designed it as a HOPA ? Or is this game something that was forgotten and just now recovered from the archive? Our story is familiar, kidnapped fiance, a mysterious discovery from an old archeological dig and your mission to not only save Michael but to uncover a mystery that involves a pseudo planet called Niburu. (Wasn't that also a large file game?) What you have here is a dated HOPA game with three modes of difficulty to choose from but you will still get sparkles, alot of hand holding and black bar tips. Graphics are mediocre and could have used a higher resolution for the HO scenes. There is only one voice-over and the rest is written dialogue. You have a map pictured by your journal on the bottom left screen but cannot access it so it pretty much is useless. Your hint system will tell you where to go and what to do. 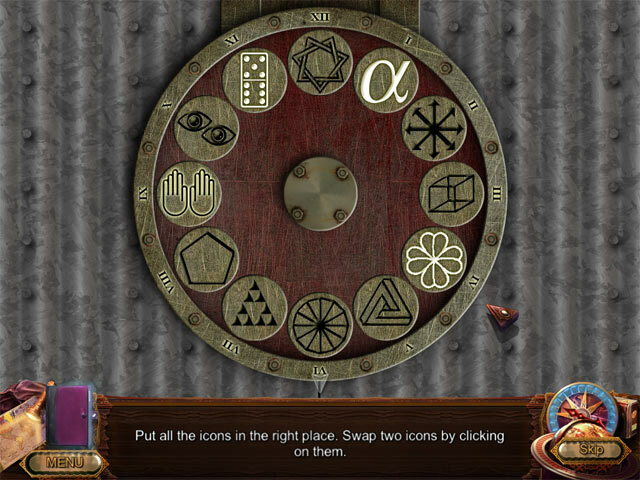 Game is mostly adventure, picking up clues and using objects on items. There are characters you meet along the way that require you to do a task and there are ridiculously easy mini-games to solve. The only really interesting feature in this game are the HO scenes. They vary in style and are interactive. Graphics tend to get a bit blurry in these scenes making it difficult to spot some items. HO scenes involve a standard list of items to find or items to place back into the scene. The game is not bad, mediocre and mostly adventure. Because of no map, you are on your own to go to places and achieve your tasks. There is alot of point and click involved and at first the game was mildly interesting but I got bored by the end of the demo. I suppose a club award or free game pass can be used if you are up to feeling nostalgic. Adventure gamers will laugh at the simplicity of the game but HO fans may enjoy it. Sorry but it is a pass for me, I have too many older games in my own archive that ? could go back to re-play. Lost Civilization is just a lost game that has been found. Rated 1 out of 5 by belle63 from Lost civilization Boring. At least I didn't pay it. Too much conversation and all the trips on the map are slow and the transit between the pictures are slow too. Rated 1 out of 5 by bubbabob99 from only got so far Got as far as painting the post card but couldn't mix the colors. After 5 min of trying I quit the game.